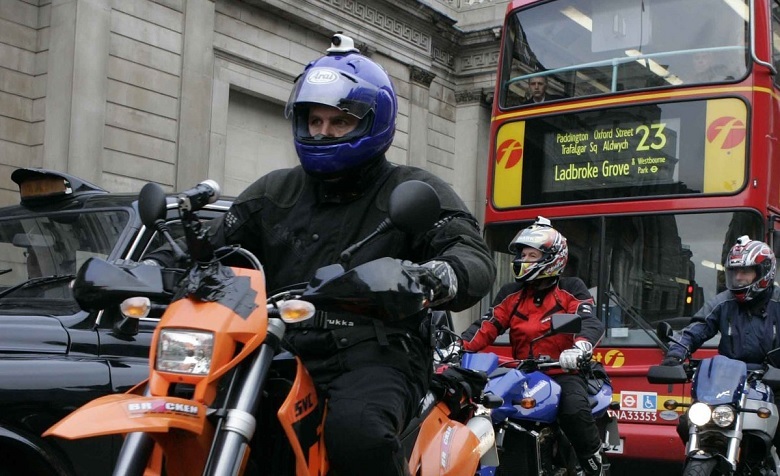 The mayor of London is putting the safety of motorcyclists at risk, according to the Motorcycle Industry Association. On 28 February, Sadiq Khan outlined his plans to improve transport in the Capital over the next 25 years – with the ambition for 80% of trips to be made by foot, cycle or public transport by 2041. The strategy includes ‘record investment’ in rail, tube and bus services, an ‘unprecedented focus’ on walking and cycling, and a commitment to make London’s entire transport system zero-emission by 2050. The Motorcycle Industry Association (MCIA) says the strategy shows Sadiq Khan is ignoring the benefits of using powered two wheelers (PTWs). The MCIA says that in TfL’s ‘war on motorised transport’, it is lumping commuter motorcycles and scooters in with cars, taxis and construction traffic – despite the fact that PTWs significantly reduce congestion, take up less road space and are far less damaging to air quality. “At a recent meeting with the MCIA, the mayor said that he agreed PTWs had an important part to play. In doing so he also agreed to review his Transport Strategy, taking into account the feedback he had received during the consultation period.